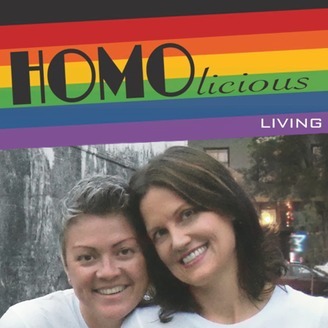 Homolicious Living is having a HAPPY, WHOLESOME and FREE lifestyle. It’s represented when someone shines from the inside out and has discovered what makes them happy and makes it a priority. They consistently work on themselves, practice self-love, be authentic, and are positive and affect those around them in a positive way. Being wholesome by having a good routine of eating cleanly and exercising consistently. They feel safe and free within themselves and in their environment. They are comfortable in their sexuality and feel free to love whomever they choose. 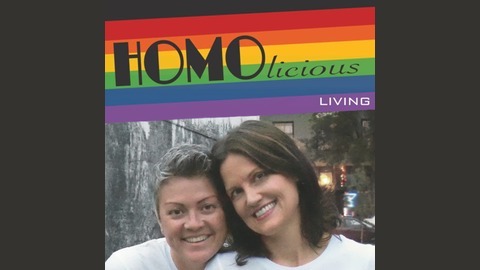 www.homoliciousliving.com Hello Pod listeners! Welcome to Episode #25. In this episode we will talk about how to be happy and have fun. Delicious Dish: Today's Delicious Dish is about the chemicals in our brain that make us feel happy. People typically think that circumstances, possessions, or relationships make them happy, but actually, happiness is mostly a chemical experience. The brain generates four main chemicals to create the sensations and emotions that we associate with happiness. This is great news because if things in our lives aren’t going the way we’d like; we can increase the release of these brain chemicals to improve our mood. Endorphins are the opioid neuropeptides produced by the central nervous system to help us deal with physical pain. They can make us feel light headed or giddy, which can feel great. A great way to increase endorphins is to exercise, either with aerobic or anaerobic exercise. Some studies have shown that in as little as 30 minutes of walking can produce a significant reduction in depression among clinically depressed subjects. Serotonin may be the best-known happiness chemical because that’s typically the one that antidepressant medication typically addresses. It’s a neurotransmitter which is a substance in the body that carries a signal from one nerve cell to another. Exposure to bright light like sunshine, exercise and happy thoughts can stimulate the production, along with eating tryptophan foods like nuts, seeds, tofu, cheese, red meat, chicken, turkey, fish, oats, beans, lentils, and eggs. Dopamine is another neurotransmitter and is often referred to as the “chemical of reward.” When you accomplish a task, make a deadline, score a goal, you receive a pleasurable hit of dopamine in your brain that tells you you’ve done a good job. You can also get a natural dose of dopamine when you perform acts of kindness toward others. You can have long term benefits and some studies even show that just have thoughts of loving kindness can bring on the dopamine high. Oxytocin is a hormone that is associated with loving touch and close relationship, called the “love drug.” It gives you that warm fuzzy feeling, while also stimulating dopamine and serotonin, while reducing anxiety. Hug someone, pet an animal, and give yourself a great release of oxytocin. Skips the drugs and vices, use these all natural ways to make you feel happier right now. "It's the journey that brings us happiness not the destination so keep on stepping!" Happiness is the number one thing people want and strive for, and Aristotle claimed “Happiness is the meaning and purpose of life, the whole aim and end of human existence.” It’s a state of mind or feeling which is characterized by contentment, love, satisfaction, pleasure or joy. It’s difficult to measure with surveys, questionnaires and models, and some research indicates that our level of happiness is a combination of genes, life experiences and how we process and perceive information. There are many ways we think about happiness and how we will get it. Is happiness knowing that we have enough of what we need to survive? Is happiness being at peace with oneself and the world? Is happiness being able to enjoy the simplicity and beauty of everyday life? Is happiness having the freedom, good health and ability to help others? Is happiness being able to give and receive love unconditionally? Is happiness a state of consciousness where all the senses are fully aware? Is happiness knowing who we really are and being at peace with ourselves? Things holding you back from true happiness 1. You haven’t given yourself permission. We don’t allow ourselves to be happy because sometimes we put it up on a high pedestal and treat it as a grand, unachievable reward. We look for reasons to be happy, but you don’t need a reason, or to feel like you have to earn it. It’s there for you, so take it and embrace it. 2. You have past regrets. People that dwell on the past are spending useless time. If you stumbled, failed or missed an opportunity, learn from it and move forward. Life is too short not to be in the present, all we have is right now, and it’s the current moment is the only thing you can control. Choose to be happy right now and build a strong foundation for your happiness in the future. 3. You compare yourself to others. We worry too much about what others are doing and have, and we waste time not bettering ourselves. You have to identify our own priorities, skills and gifts, and you are unique and so is your path to happiness. 4. You’re forgetting to be grateful. Lots of people have heard “You don’t know what you have until it’s gone.” This is very true, but it doesn’t’ have to be if you take an inventory of all the good things in your life. Do you have a roof over your head? Do you have clothes on your back? Do you have food in your belly? Are there people who care about you? Are you reading this on your smartphone? All of those things can be taken away from us at any point, so just be happy when you’re able to experience those things in life. 5. You’re being selfish. Pay attention to the feeling you have when you get something that makes you happy, and when you give away something that makes someone else happy. You should notice how different your level of happiness is when we make a positive connection with another human. True happiness is giving with no intention of receiving anything in return. This can be done in the form of time, compassion, money or helping someone. 6. You’re not listening to yourself. We all have that inner voice that protects us and leads us in the right direction, like telling us to quit that job or break up with a person that we’re not happy with. Remember that your inner voice knows exactly who you are and exactly what you want to be happy, so trust yourself. Things you should give up to be happy Give up your need to always be right. Ask yourself if it will make a difference in the end, or is it your ego that won’t let you be wrong. Sometimes ask yourself, “Do you want to be right, or be kind?” Give up your need for control. Allow everything and everyone to be just as they are and see how much stress you will be relieved of. Give up on blame. Be responsible for your life and stop giving away your power by blaming others for what you do and don’t have, or fell or don’t feel. Give up your self-defeating self-talk. The negative, polluted, defeating mindset only hurts you. Eckhart Tolle says, “The mind is a superb instrument if used rightly. Used wrongly, however, it becomes very destructive.” Give up your limiting beliefs, on what you can or can’t do, or what’s possible or impossible; it will only keep you stuck in the wrong place. Spread your wings and fly! Give up complaining. Your constant need to complain about all of the things doesn’t help anything, so change your mindset from negative to positive. Give up the luxury of criticism, especially of those that are different than you. Remember that we all want to be happy, want to love and be loved. Give up your need to impress others. Don’t pretend to be something that you’re not, just to make other people like you, it doesn’t work. Be yourself, and the right people will come into your life. Give up your resistance to change. Change is good and help us and others around us improve, so don’t resist it. Give up labels, about things, people and events you don’t understand. Minds only work when they are open. Give up on your fears. Remember that fear is something we create in our mind. Like Franklin D. Roosevelt said, “The only thing we have to fear is fear itself.” Give up your excuses. We limit ourselves with excuses, instead of growing and working on improving ourselves. Give up the past. Yes, it’s hard to do sometimes and the future can be frightening, but remember that the present moments is all you have and all you will ever have. Live is a journey, not a destination. Give up attachment. Detach yourself from possessions, little by little, and you will see you will become more peaceful, tolerant and kind. Attachment comes from a place of fear, and we worry that without that thing, we will lose something positive. Give up living your life to other people’s expectation. There are too many people living a life that isn’t their vision. It could be what their parents thought, or what their friends, teachers, or media think is best for them. Don’t ignore your inner voice, and don’t get caught up wanting to please everyone else, and not yourself. You have one life, so live it, own it and create your own path. Questions that can help you transform your life What am I holding on to that no longer feels good? What have I been avoiding out of fear? What dream have I ignored, but it keeps coming back to me? What in my life am I forcing and can let go of? What skills or talents am I not using? What am I committed to changing and removing from my life? What brings me incredible joy and am my best self? Be honest with yourself about what you want and who you are so that your transformation can begin. Shift your mindset to get what you really want Create your new normal. Take the time to figure out what you truly want; a new career, more financial security, better relationships. Think about how that might feel to have that as your normal, natural part of your life. Invite that feeling into your awareness and be open to experiencing that every day. Identify your future beliefs. Think about the future version of yourself in your new normal. Think of these future beliefs and how you can start doing them today. Actively live “as if” every day. Don’t just have a vision for your future, actively work on your visions and beliefs today. Make decisions based on where you want to go, “as if” your future normal is your normal right now. Having more fun in your life has all kinds of benefits, in addition to just being happier. It’s funny when you think of it because when we are kids, we only think about having fun, and everything else is secondary, but as adults, we have to “plan or schedule” fun, as if it’s a task. What happens when we have more fun You’ll lose weight. We use food as a socially acceptable “fun” activity, but it’s not active one. We also eat when we are too busy or stressed, and it’s easy, cheap and readily available. Instead of having a sugary snack or “comfort food” to feel better, get your body moving and release those good feeling chemicals into your brain. You’ll rediscover yourself. Look at the things you enjoyed doing as a kid and tap into your inner child and reveal your passions. You’ll reconnect with friends. Fun is always better with company, so you can attend or plan a fun activity and get back in touch with people that you just haven’t made time for lately. You’ll have something to look forward to every week. Studies have shown that the anticipation of an enjoyable event can make you just as happy as doing the activity. You’ll rediscover self-love. Pamper yourself by doing something you enjoy. Loving yourself is truly the best way to make sure you’re having a blast in life, so do it! An example of a fun activity is coloring. The whole adult coloring book craze is worldwide and you can find them anywhere books or art supplies are sold. Here are some reasons why it’s so popular. Coloring helps you unwind. Studies show it clears your mind and center your thoughts to help you relax and de-stress. It improves your focus, and have even have a positive effect on your mood, energy level and how well you sleep. It stimulates your right brain and helps you think more clearly. It can help you express your creativity and we tend to have the best ideas when your right brain is stimulated. It’s a fun night with friends. There are art/wine parties all over the place, so instead of heading to a loud, crowded restaurant or bar with friends, have a night in and be creative. Things that make you go Hmmm? Or Mmmm…: This week’s Mmmm: 35 Unexpected Life Lessons The more you love yourself, the easier it is to see imbalances in your life. The key to getting anything you want is patience, timing, and trust. The things we cling to out of fear prevent us from growing. When you can allow yourself to be where you are instead of where you think you should be. What you are experiencing is part of a bigger life plan. When you stop focusing on the problem, the problem tends to go away. Feeling like you don’t have a choice is a choice. The results we strive for aren't as valuable as the experiences along the way. We may not always get what we want, but it will always be what we need. One small step at a time consistently creates monumental results. What is meant to be will always find a way. What we resist in life will always persist. Just because someone disagrees with you doesn’t you are wrong. Contrast brings clarity and compassion. You can’t compare yourself to others and be happy at the same time. Confidence comes through action. The more action steps we take, the more confident we will be. Things don’t happen to you, they happen for you. All rejection is protection. It’s always this or something better. There is timing to everything. If you are pushing and working hard and it isn’t flowing, it isn’t the right time. Nothing is ever wasted. Everything you’ve done has put you closer to where you want to be. There's no one-size-fits-all approach to anything. Your heart knows the way. Trust it. Your passion will lead you to your purpose. Your dreams are the invisible architecture of your life. They matter. Most of the time, the thing you're looking for comes to you when you stop looking. It’s not selfish to follow your heart — it’s an act of respect and appreciation. Gratitude brings abundance. You always get what you focus on. Most of the time we create our own suffering through expectations. Insight is worthless unless you take action. You always have enough time, money, and energy for what is truly most important to you. Nature heals. Joy is the best barometer for success. The more joy you feel, the more successful you are. It’s OK to not know the answers. We learn the way on the way. How you do anything is how you do everything. All parts of your life are connected. Deep down, you already know the truth. When you can become your own friend, life is magnificent. And when you can allow yourself to be where you are, instead of where you think you should be, freedom prevails. Well that’s it for today's show. Thank you: We would like to give a shout out! A huge thank you to: Mind Body Green article by Kaia Roman, “The Brain Chemicals that Make You Happy (and How to Trigger Them)” Collective Evolution article by Andrew Martin, “Is Happiness the Meaning of Life?” Mind Body Green article by Tom Casano, “6 Things Holding You Back from True Happiness” Mind Body Green article by Shannon Kaiser, “11 Powerful Questions that can Help You Transform Your Life.” Mind Body Green article by Luminita D. Saviuc, “15 Things You Should Give Up To Be Happy” Mind Body Green article by Lamisha Serf-Walls, “The Mindset-Shifting Hack that Gets You What You Really Want” Mind Body Green article by Anna Wootton, “5 Healthy Reasons to Start Having More Fun” Mind Body Green article by Daria Song, “5 Reasons to Give in to the Adult Coloring Book Trend” Mind Body Green article by Shannon Kaiser, “35 Unexpected Life Lessons I’ve Learned in 35 Years” Quote of the week: We will leave you with a quote: “Life isn’t as serious as the mind makes it out to be.” - Eckhart Tolle We would love to hear from you, so check us out on Facebook or at www.homoliciousliving.com. Subscribe, rate and review us, and share your topic ideas. Have a HOMOlicious day!